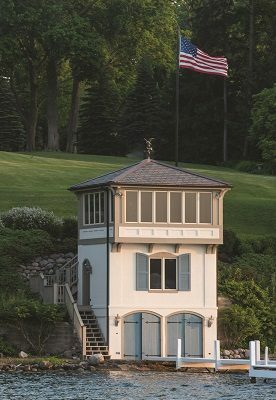 Although little remains of the 1880s north shore estate called Green Gables, this boathouse reflects the estate’s original architecture. Deadwood, also on the north shore, was built in 1910 to house steam yachts. 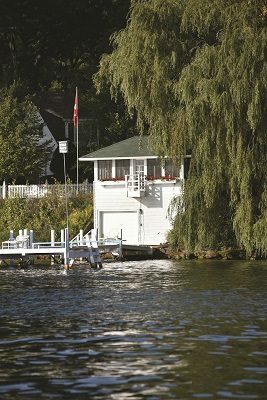 In the 1930s, one stall of the boathouse was converted to a private residence. 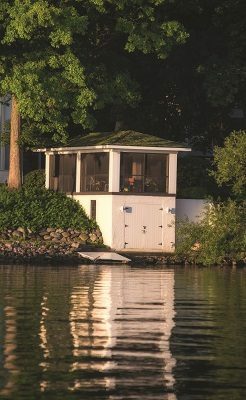 Walking west along the Shore Path, you’ll find this classic boathouse between Elgin Club and Knollwood. 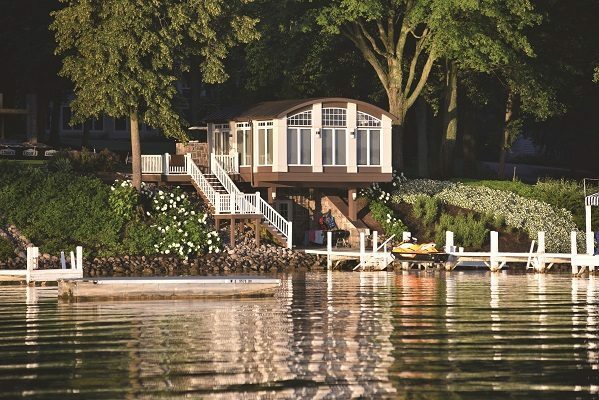 This stately boathouse is located near Cedar Point, also on the north shore of the lake. 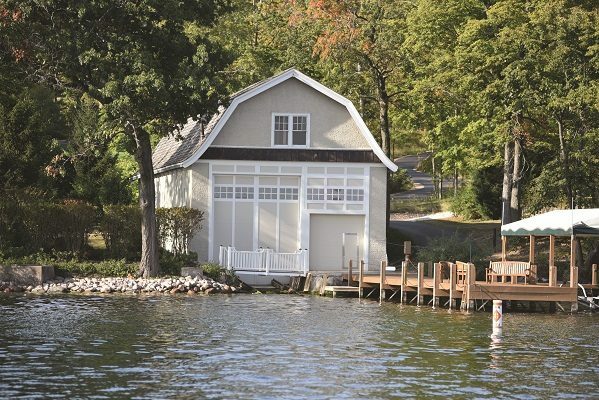 The architecture of Geneva Lake’s boathouses is as varied as the homes that line its shore. 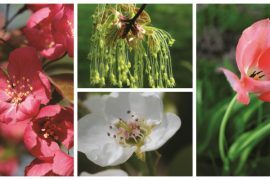 The three shown here can be found on the north shore between approximately the Narrows and Cedar Point. The boathouses shown here span the shoreline from just north of Fontana to the east, along Geneva Lake’s south shore. 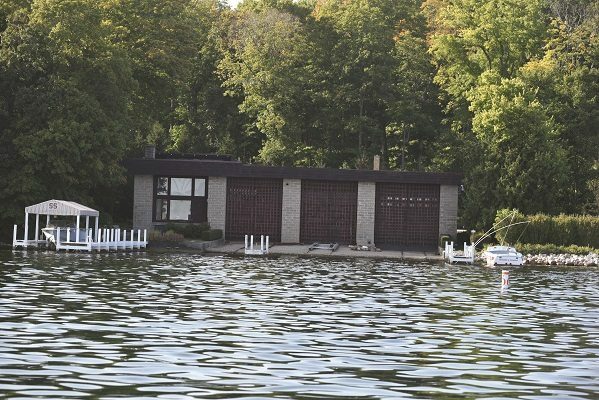 Although this part of the lake was mostly developed after the north shore, it still includes a collection of impressive boathouses. While cruising Geneva Lake’s waters or walking its popular Shore Path, opulent homes and grand estates vie for one’s attention. 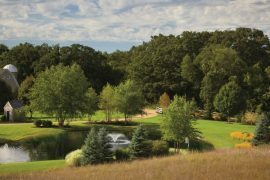 Whatever the vantage point, some properties stand out more than others. Perhaps it’s the sight of interesting structures, typically with matching architectural elements that stand guard at the water’s edge. 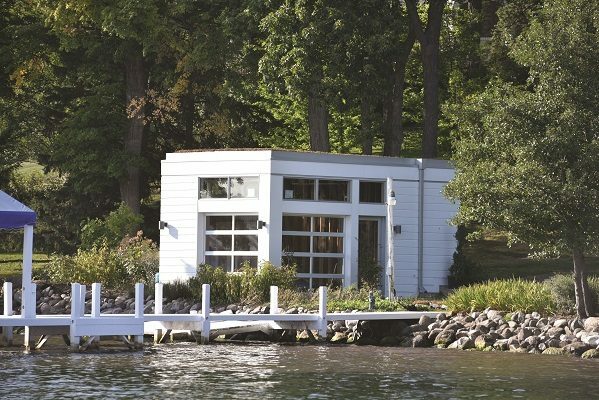 Geneva Lake’s boathouses are striking in design and reminiscent of a bygone era. 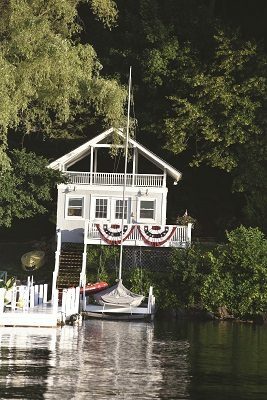 Many of those that still stand were built more than a century ago as luxury utilitarian sheds designed to store watercraft and accessories. 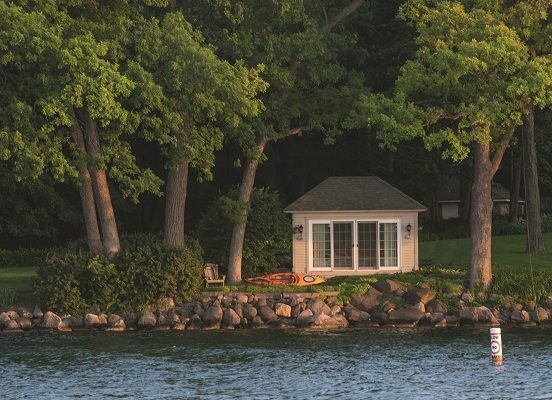 Due to changing shoreline zoning laws, the building of new structures is no longer allowed and owners can only repair, remodel or restore a boathouse to its existing footprint. 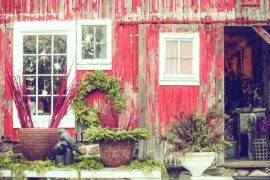 Today, the boathouses that remain may have changed in appearance, but they still embody the spirit of life lived at the lake. They may house boats and water toys, but their entertaining spaces beckon as the ultimate place for respite on lazy summer afternoons.